In my recent Spotlight interviews with Business Coach, Vicki Donlan, and National Speaker, Nancy Butler, we discussed the importance of having an exit strategy for your business, even when you are in the early stages. When I first started out, thoughts of to whom and when I might sell my business down the road weren’t anywhere on my radar. What steps are you taking to develop an exit strategy for your business, and how did you get started? You are going to love the 12 responses we received to this query, from those who have a plan, to those who have already sold. The variety of experience will give you strategies you can use no matter where you are on your business development timeline. Enjoy! My one big tip for creating an exit strategy is to be at the heart of your business. What do I mean by this? Don’t be afraid to be the face of your brand so that people connect the business with a story! People love stories and would much prefer to buy from a service/brand that they know of than one that they don’t. By being unafraid of putting yourself at the heart of your business, you’ll instantly create a brand, gradually attract loyal customers (who’ll be there even when you decide to sell) and make your business more appealing to potential buyers/investors. A good example of a business that has done just this is Innocent Drinks; they shared their story which attracted press attention, went on to sell millions of drinks and sold shares to Coca Cola. Innocent is now extremely sell-able. After ten years of successfully building my craft services business, my husband knew that it was time to sell and when he suggested it, I burst into tears as if he was telling me to cut off my arm. The business was such a part of ME and at that point, I did not possess the insight or expertise to know when it was time to sell. I did not have an exit strategy in place. Then the economy tanked, and I have spent the last 2+ years saving and building my business back up. In preparation for the sale, I have created a manifesto of company operations, collected all debts, paid off the company vehicles, and am training managers to take over the operations. Incorporating an exit strategy into your business plan is necessary and practical. We got started thinking about an exit when we first started the company back in 2003, but it never crystallized until this year. For us, it is diversifying our revenue stream. In the meantime, we will bring as much profitability to our company as possible. Our plan is once we raise profitability and diversify our revenue some more, to look for VC investment or to go public. We got started on this plan by adding various revenue streams. Our exit strategy is simple. Our website will continue to grow on the same—if not better—path than we are doing right now until we become one of the foremost daily deal websites on the web. After that, the plan will be to seek out a company or person who may want to acquire us. You can do the searching for yourself, but if your company becomes that prominent, people will already be contacting you. We started working on this plan by pumping out as many handpicked deals as possible—especially during the holiday season. Our business is fairly new, but we have being growing a rapid rate. Due to our speedy success rate, we haven’t been able to craft a coherent exit strategy. Though, we imagine that two years down the road, we will be exploring our options. The way we would go about doing this is through strategic sales or accessing the public market. Stephen Covey advised us decades ago to begin with the end in mind. From the moment you start your solopreneurship, you should be thinking how best to end it. Keep a file and whenever you meet someone who might be interested in buying a part or all of your business, record facts about that person, including when/where you met and what makes you think he or she could be a buyer. To your file add other sale-related tidbits–comparable businesses that are expanding, the price that similar businesses sold for, names of business brokers, individuals with that entrepreneurial drive (even if they currently have a 9-5 job) et cetera. When the time comes for you to move on, you will be able to exit, excellently. After 18 years in business, I began looking for my successor. It was important to me that the business continued to have a great reputation, I could feel great about the position I left it in and secure in knowing my clients would be well taken care of and my staff would have jobs for many years after my retirement. I worked with several prospective buyers, only to decide they were not a good match. Finally I found someone. We worked together for 3 years before signing legal documents outlining my succession plan, to assure the transition would be smooth for everyone. I taught him how my business runs and gave him the opportunity to meet and work with my clients. My business sold at a fair price on the exact day planned. Now when I see former clients and staff it feels great! All your records should tie to each other. 2) Use a ‘Business Broker’- it’s worth the commission. They will weed out & pre-qualify the real buyers from the ‘just making inquiry’ ones. It will save you a lot of time and aggravation. 3) It’s a must to figure out the ‘true’ value of your business. Know in advance the size of the down payment you are looking for, interest rates and the amount of ‘payoff’ time’. 4) I interviewed a number of brokers. Many will downplay the value of your business to make it easier for them to sell & others, to get you to sign with them, with overplay it. If you know the true value you will find the right broker. I did & he sold it! Any entrepreneur should have an exit strategy to minimize the likelihood that he or she will walk away from the venture without anything to show it. Specifically, once certain benchmarks and parameters are reached, one should begin to seriously consider having other investors come in who might be interested in either helping further grow the business or make it part of a larger entity, or simply sell the business altogether. What we’ve seen in other companies (including large corporations like Yahoo) is that holding on for too long can lead to dire consequences. There is no guarantee that a growing entity will continue moving in that direction. #1 You need a plan! According to the SBA, the #1 reason most business transitions fail is due to a lack of planning. A successful transition can take years to execute, only 20-25% of businesses sell, and there’s a tidal wave of competition coming as baby boom generation business owners start to retire. The people who are successful are going to be those that planned ahead! #2 It’s not the end, it’s a new chapter! The #2 reason business transitions fail is biz owners can’t let go. You’ve worked hard and built a business you love, but one way or another, you will exit the business. Having a plan and executing it increases the chances the people you care about (employees, customers, family) will be taken care of. Having a vision of your satisfying life after you exit will help you avoid procrastinating on developing your plan. Armed with your vision, you should have some idea about how much you need to get for your business to finance the dream. Is your business worth that? If not, what adjustments do you need to make to your business plan to get you there? Think of this as the transition period of changing the business from what you wanted it to be to what someone else wants to buy. Win win! When selling your business, you need to make sure the business continues to run at optimum levels. Think about getting some help with the sale, so you can concentrate on what you do best. You may only get one chance at this and you want to get it right the first time. People who have been through the process can help! 1. Assume the person considering the purchase of your company is going to do an outstanding job of due diligence and prepare accordingly. You’ll need clean financials (and not just the current year), as well payroll details and a clear explanation of each P&L line item. 2. Assume the person considering the purchase of your company is going to ask the hard questions and be prepared. 3. Don’t stretch the truth…don’t lie – period! If there’s bad news (difficult employee for example), disclose this information if asked. Every business owner wants to paint the best picture possible about their business and they should. But my experience in buying and selling companies is that full disclosure is always best. 1. Seller Neglect – Often, once a seller has decided to sell they begin to neglect their business. A seller must keep increasing sales throughout the exit process. Sales , Sales, Sales is like location, location, location! Owners must keep their eye on sales. Buyers will pay more for a business with increasing sales than one with decreasing or stagnant sales. 2. Remove yourself form the business – If you are a business owner like “Norm” from the sitcom “Cheers” where “everybody knows your name” – that may be good for business but not for a business sale. In order to maximize the value of your business, owners have to disassociate themselves from the business and have customers, employees and suppliers sign on because of the business and not the owner. The best method to remove yourself from the business is to train your top staff to take on your responsibilities. The more infrastructure you have, the more valuable your business. debit card for family dinners and vacations. Thanks so much again to all our wonderful contributors for sharing your business exit strategies! We hope to hear from you again. This entry was written by Dr. Shannon Reece, posted on October 17, 2011 at 5:00 am, filed under Question of the Week and tagged entrepreneurship, exit strategy for business, question of the week, selling your business, small business tips. Bookmark the permalink. Follow any comments here with the RSS feed for this post. Post a comment or leave a trackback: Trackback URL. Great topic and much needed. Reposted on twitter. I connected with another exit strategy specialist via Twitter, Laura Humphreys, Founder of http://liber8me.com and she shared an article she wrote on planning your exit strategy. 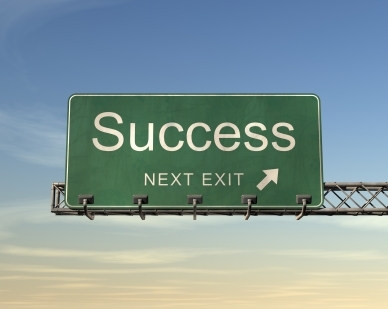 Check it out here – http://www.liber8me.com/21/planning-your-exit/ Thanks for sharing your tips, Laura! !